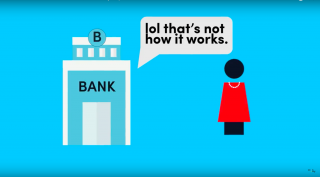 There's a really simple way of describing how banks work. They take your money, lend it to other people and charge more interest than they give back to you. And that's how they make their money. The thing is, that theory is kind of wrong. So this thin air from which banks theoretically create money is not so thin after all. In fact the commercial banks borrow from the national bank and have to return their loan. Since savings are temporary loans that are returned, the growth of a banks lending ability cannot happen without it borrowing from somewhere else, or getting permission from the treasury of government to create money. However complex the sharing of debt between the banks can become, the basic principle remains and it is dominant, otherwise it would be possible for a bank (not a sum of money) to be created from nothing. 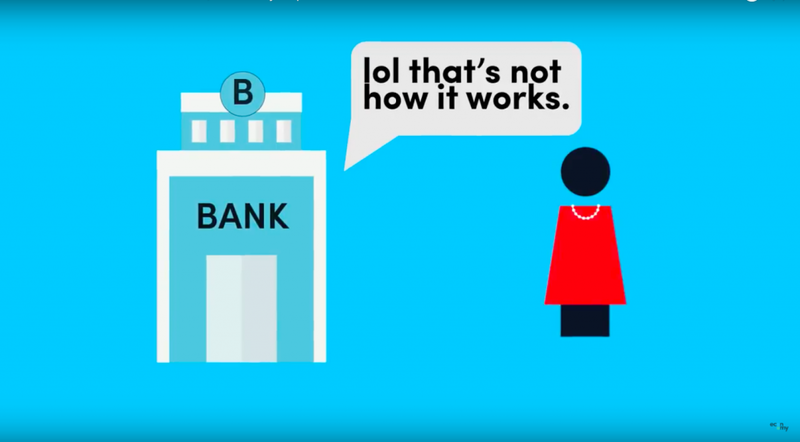 Has an example of an imaginary new bank called “Scratch Bank” without any assets whatsoever and how it in could extend a loan and finance it. The website is “Consumer News and Business Channel” owned by the USA netwok NBC.